I am not a particular fan of beans. Beans don’t normally bode well for my digestive system (I will spare you the graphic details). I will avoid chili or any heavily beaned dishes for that matter. I know it seems rather ironic that I am sharing a black bean burgers recipe with you considering my aversion to beans. I made an exception with black beans after hubby made a black bean burrito many dinners ago. Of all beans, I found black beans to be more digestible to me. Other types of beans are like cement to my intestines. I had the least amount of digestive problems prior to eating black beans. Plus I needed a vegan dinner idea and I made black bean burgers on the whim. After having tried homemade black bean burgers, I found found them to have a satisfying flavor and a robustly meaty texture to them. Even devout carnivorous will appreciate these vegan black bean burgers. The seasoning makes all the difference in the world. Sauteed vegetable add depth to the patties without dominating them. I thought about using raw black beans but took a shortcut by using canned black beans instead. I normally would go for a beef burger but I can delight myself to a vegan option every now and then. Having made veggie burgers/patties before, making these homemade black bean burgers were no challenge at all. These black bean burgers are simple to make and taste as good as they smell, if not better. 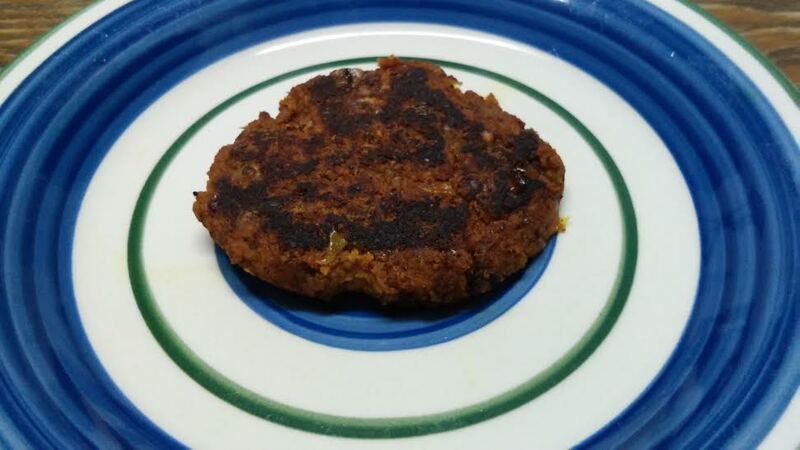 Naturally allergy friendly, they can also be made gluten free and vegan too depending on what type of bread crumb or oats you use in this black bean burger recipe. Unlike beef burgers, which are best cooked over extremely high heat, these black bean burgers require a moderate heat so that they can cook through and firm up before the exterior burns. Since the batter does not have any eggs in them, you can taste the mixture and adjust the seasoning to your liking. Saute vegetables in a large skillet over medium high heat till tender. Transfer vegetables and beans to a food processor. Add seasoning and process till smooth. Transfer black bean mixture to a bowl and add mayonnaise, flax egg and crumbs. Season with salt and pepper. Mix well and form patties. Heat 1 tablespoon oil in a large non-stick or cast iron skillet over medium heat until shimmering. Add patties but don’t overcrowd the skillet. Cook for 4-5 minutes on each side until browned and crisp. Serve immediately or freeze leftovers. This entry was posted in Gluten Free, Sugar-free, Vegetarian and tagged black bean burgers recipe, gluten free black bean burgers, homemade black bean burgers, vegan black bean burgers.